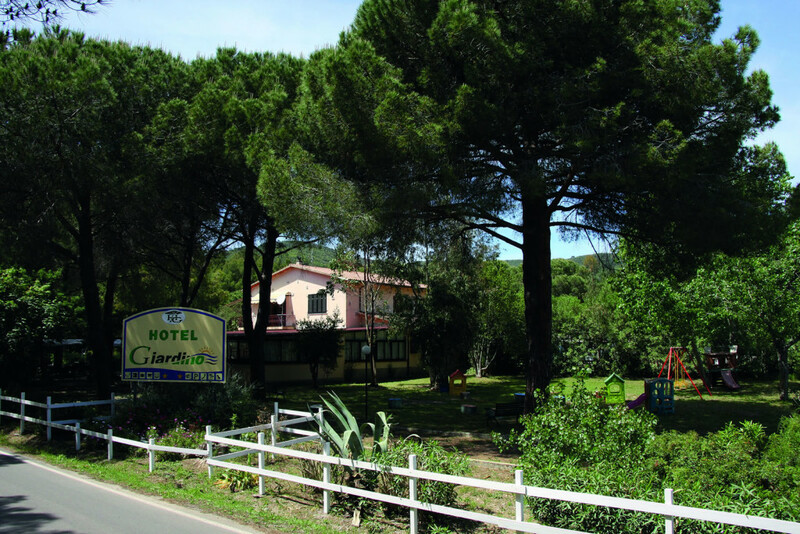 The Hotel Giardino is a family run hotel located in the middle of the enchanting gulf of Lacona, surrounded by a beautiful, fresh and airy 30,000 m² park. The setting is simple, informal and welcoming. The large and well-lit dining room of the hotel provides an ample buffet breakfast, prepared using fresh homemade products, and lunch and dinner cooked with great care, using products of excellent and proven quality. The kitchen staff will make all the variations needed to satisfy the needs of our younger guests and those with specific eating needs due to intolerances and allergies. There is a free WiFi network available in the dining room, bar and leisure area. The beautiful sandy beach is only 100 metres from the hotel and is accessible by crossing on foot the protected area of the coastal dunes of Lacona, an area of great environmental value and incredible beauty. There are numerous utilities on the beach for families, providing all the services needed for an enjoyable day at the seaside. The location of the Hotel Giardino is ideal for easily and quickly accessing many of the main towns: Marina di Campo, Capoliveri, Porto Azzurro and Portoferraio are all easily accessible by car in about 10-15 minutes. The location of the hotel is also excellent for those who enjoy trekking and biking. The hotel also offers a custodian service for leaving bikes in a practical shed. Diving and snorkelling are also available at the numerous Diving Centers nearby. The hotel has always had discount agreements for the various sporting events organised in the area: the running race around Elba, Capoliveri Legend Cup and Elbamann Triathlon. The Hotel Giardino also sells ferry tickets under very advantageous conditions for its guests. The hotel will also accommodate your “furry friends”. The hotel also has a private tarpaulin covered car park.